Ride The Tide's SUP Trolley helps you get your SUP board to the water with ease. Simply position either the nose or the tail of the board on the trolley and strap it in place with the stretch strap. 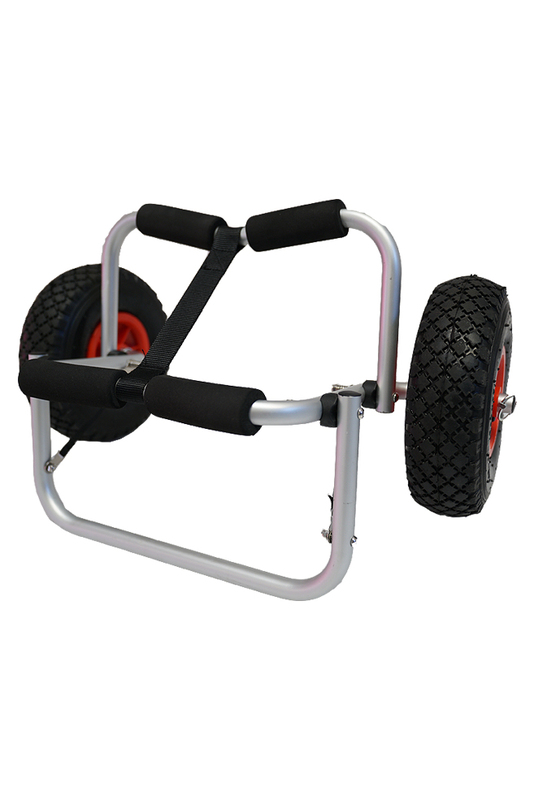 Our SUP Trolley includes the stretch strap necessary to attach to the trolley. Our SUP Trolley features firm foam padding to protect your board and heavy duty wheels and frame for transporting over any type of terrain. Our SUP Trolley also pulls apart to pack away for easy storage and transportation. The Ride The Tide SUP Trolley is suitable for SUPS, surfboards, longboards and kayaks.